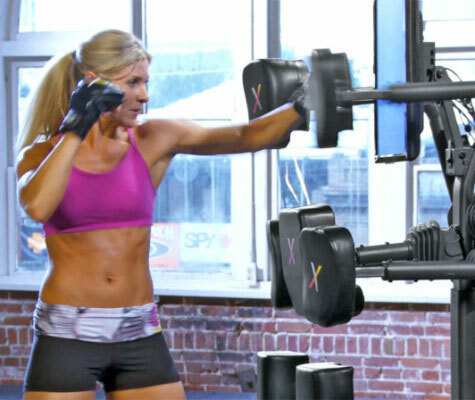 Nexersys provides a full body workout unlike anything ever experienced! Draw in a wider audience who wants to get in shape. With so many living a healthier lifestyle, it’s vital that you incorporate fitness products that will get the job done effectively and efficiently. Exergame Fitness creates fitness products that aren’t just a great workout, but are also incredibly enjoyable. 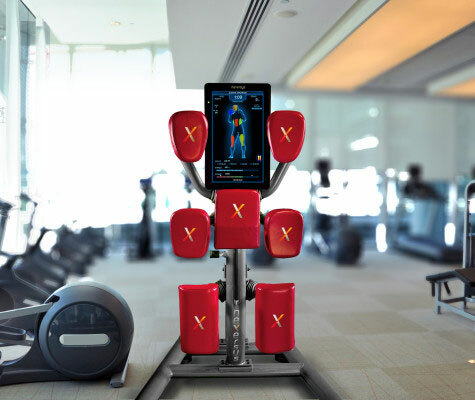 The Nexersys is an interactive and intelligent fitness product that delivers a High Intensity Interval Training (“HIIT”) workout through cardio, core, technique, and strike video training plus Avatar sparring and multiplayer/gaming rounds. This fitness product is a professional training software program that creates a unique fitness experience each time you work out based upon your personal Nexersys history. If you’d like to incorporate this fitness product to help your members create a more intense workout, then we have you covered. Contact Exergame Fitness to learn more about what we can do for you. • 22″ LCD Touch Screen Monitor. • 7 Leather Strike Pads. • Adjustable feet for optimal adjustment and balance. • Easy glide wheels for relocating your Nexersys. 315lb frame tested for up to 3,500 hours of continuous use. *Additional extended warranties are available for purchase.